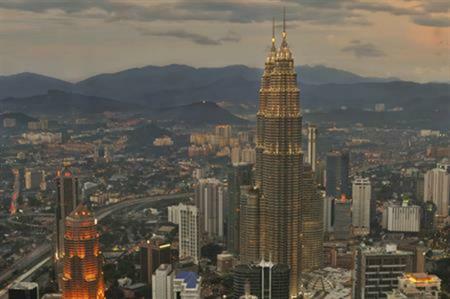 Kuala Lumpur, Malaysia's capital, will be the host city for the 2017 International Federation of Freight Forwarders Associations (FIATA) World Congress. The FIATA World Congress is an annual event that brings together freight forwarding and transportation industry professionals from all over the world to discuss development and growth and encourage trade business opportunities among delegates. The delegation was led by the Federation of Malaysia Freight Forwarders (FMFF) with strong support from the Malaysia Convention & Exhibition Bureau. The importance of creating more business collaboration between local freight forwarders and regional and international counterparts will be a central focus area during the congress. The FIATA 2017 is also expected to generate RM11.5 million in economic impact to Malaysia and increase Malaysia’s potential as a top regional gateway for freight transport and logistics. The four-day congress is expected to draw 1,200 participants out of which 60% will be international participants. Alvin Chua Seng Wah, president of FMFF said: "Prospects for Malaysia’s freight logistics are aplenty. ASEAN is set to be a single market place where we foresee production and logistics to be the main driver of ASEAN integration and Malaysia has all the opportunities to serve growth in this region. With the FIATA World Congressin 2017, we look forward to drawing the world to Malaysia and showcasing our logistics capabilities."